Australian politicians have recognised that the issue of homelessness won’t just go away. 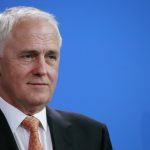 While the number of people sleeping rough around Australia increases, the response by many politicians has been to push for new laws that criminalise homelessness and move rough sleepers out of sight. 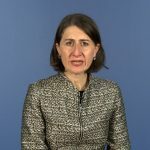 In mid-August, the Berejiklian government hurriedly passed a bill through NSW parliament that broadened police powers to enable the removal of people and their items from crown land within the City of Sydney local government area. 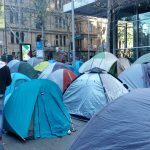 The legislation was specifically aimed at the homelessness camp set up in Martin Place in the CBD. 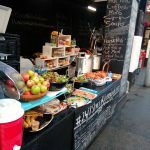 Sydney’s 24-7 Street Kitchen and Safe Space had been providing the city’s needy with meals, and rough sleepers with a secure place to spend the night since mid-December last year. After the law was enacted, rather than wait for the police to move in, the homeless people dismantled their camp and moved on. 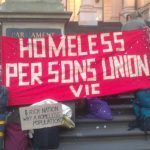 A similar situation occurred in Melbourne last January, when a group of homeless people camped outside Flinders Street Station prompted Melbourne lord mayor Robert Doyle to propose new bylaws to ban rough sleeping in the city centre. Under the proposed laws, rough sleepers would be fined $250 for camping on the street, leaving their belongings unattended or refusing to move on. The new bylaws were approved by council vote in February, and could be enacted next month. In order to prevent Adelaide turning into another city where homelessness becomes criminalised, the City of Adelaide and the South Australian government have backed an approach to homelessness that is proving a success in 75 communities across the United States. Last month, a broad coalition of organisations launched the Adelaide Zero Project. Led by the Don Dunstan Foundation, the project will see the capital of SA become the first city outside of North America to implement the functional zero approach to homelessness. This approach aims to increase the capacity of the housing system, so it is greater than the demand. “Functional zero” would be achieved in Adelaide when the number of people turning up on the streets is markedly reduced, and that number is less than the amount of rough sleepers being provided with permanent accommodation at any given time. Adelaide Zero Project executive director David Pearson explained that the initial step in the project is to keep a record of the names of all the people sleeping out on the streets in Adelaide and this list should be updated in real time. From there, the project organisers will ascertain why these people are presenting on the street. Whether they’re returning from provided housing, or they’ve been released from prison. “Then by measuring these things you can change how the service system responds to them,” Mr Pearson said. On any given night in Adelaide’s CBD, there can be up to 120 people sleeping rough. On the night of the latest SA government rough sleeper street count in May, there were 110 people sleeping on the inner city streets, which was a 44 percent increase on the year prior. The state’s peak housing organisation has warned that Adelaide is about to face “a tsunami” of rough sleepers. Last month, Shelter SA chief executive Dr Alice Clark told the Advertiser that the increase is due to a lack of affordable housing, and emergency accommodation in the city is full. 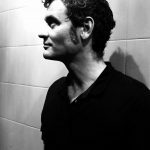 An issue for the Martin Place and Flinders Station rough sleepers was that they were being offered temporary accommodation by government, without the provision of long-term accommodation on the other side. Many rough sleepers prefer to remain with their community on the street for two reasons. Temporary accommodation offered in boarding houses can often be dangerous and violent. And once their time of stay ends, they’re forced to return to the streets alone. The Adelaide Zero Project differs in its approach. “The goal that we’re setting is that we have zero people sleeping rough on the streets,” Mr Pearson told Sydney Criminal Lawyers®. And rough sleepers are not considered to be housed, unless they have permanent housing. “If you’re in temporary accommodation, then you’re not permanently secured into housing,” Pearson explained. He added that with the provision of permanent housing comes ongoing long-term support services. The functional zero approach applies the Housing First model, where homeless people are initially offered a home to live in, and then they’re provided with wraparound services to deal with whatever other issues they might have. In the United States, the functional zero approach is being undertaken in cities like Chicago, Detroit and New Orleans. So far, seven communities have achieved functional zero homelessness for veterans, while another three communities have for chronically homeless people. Currently, the Adelaide Zero Project is determining how to implement functional zero in the local setting, and it will be applying its approach in early 2018. 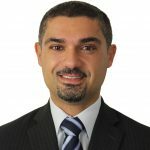 And once the initial goals are achieved, the approach will be rolled out to other areas of greater Adelaide. The homelessness crisis in Australia is much larger than the number of people forced to sleep out on the streets. RMIT homelessness professor Guy Johnson estimates that rough sleepers account for only a fifth of the nation’s overall homeless population. The August 2017 City of Sydney street count found there were 386 people sleeping rough in the city’s CBD, which is a lot more than in Adelaide. 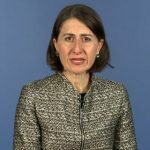 However, Pearson believes the functional zero approach could work in Sydney, as it has done in communities in parts of New York and Los Angeles.